The Victoria Police Blue Ribbon Foundation was originally founded in 1988 as the Tynan Eyre Memorial Foundation, after the felonious slaying of Constables Damian Eyre and Steven Tynan on Wednesday 12th October, 1988 outside 222 Walsh Street, South Yarra. The purpose of the Foundation was to perpetuate the memory of Victoria Police Officers, who died in the performance of their duty, by providing resources to worthwhile non-profit Victorian Community Projects and to foster positive interaction between the Victoria Police, and the Community. On the 11th November 1998 the Victoria Police Blue Ribbon Foundation was incorporated after several committees, all working to memorialise members of the Victoria Police killed in the line of duty, combined to form one organisation. The Victoria Police Blue Ribbon Foundation remembers fallen Police Officers in a way that better recognises their sacrifice while serving their community, by creating Living Memorials that not only perpetuate their memory but also their service to the community of Victoria. 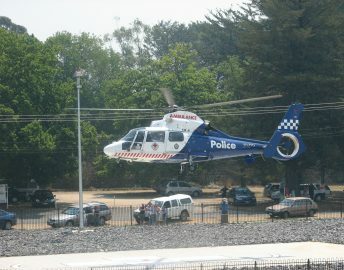 The Victoria Blue Ribbon Foundation is a community based, volunteer organisation, which receives no government funding, is managed by a Board of Management comprising serving and retired members of the Victoria Police, business people who contribute their considerable skill and experience, and the membership of the Foundation which includes over 270 volunteers from all walks of life who want to make a difference in their community. The Head Office is based in Moorabbin, plus there are 14 regional branches including Ararat, Bendigo, Colac, Shepparton, Ballarat/Maryborough, East Gippsland, Geelong, North East, Mildura, Swan Hill, Echuca, Horsham, Westgate and Portland. The Victoria Police Blue Ribbon Foundation supports programs that funds new and improved emergency facilities in Victorian Public Hospitals that are then named in memory of fallen police officers. So far more than 23 units in both metropolitan and regional hospitals that treat over 125,000 patients annually have been funded. Through the Victoria Police Blue Ribbon Foundation, the public are able to channel their support and appreciation to the Victoria Police and honour the sacrifice of those who have paid the ultimate price for the preservation of law and order in our community. The Branch still has a number of inaugural members including Terry Weeks OAM, Peter McIntosh, Stuart Kerr and Dianne Radford. The Ararat Branch of Victoria Police Blue Ribbon Foundation was established in February 2002 to perpetuate the memory of Sgt McNally and well over &800,000 has been donated to East Grampians Health Service. The annual Gala ‘Night of Nights’ in May is the major fundraiser, together with the annual Grampians ‘Ride to Remember’ which are both supported most generously by the wider community. Donations to East Grampians Health Service for projects completed since 2002 have included $63,000 for the ‘John McNally’ Emergency Department, $150,000 for the ‘John McNally’ Emergency Helicopter Landing Pad, $136,000 for the ‘John McNally’ Medical Imaging Department for a General and a Portable X-Ray machine in addition to $150,000 for an Image Intensifier and Computorised Radiology, and $50,000 for a new Microscope for the Peri-operative Unit. In 2014 the Ararat Branch of the Blue Ribbon Foundation donated $150,000 to match a $200,000 contribution from the EGHS Building for the Future Foundation for the purchase of a new C.T. Scanner for the John McNally Medical Imaging Department. 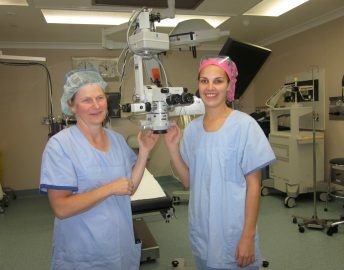 At the 14th annual Gala ‘Night of Nights’ held in May 2015, the Ararat Branch announced a new $150,000 project for the Perioperative Unit which included the redesign and refurbishment of the Theatre Recovery and Day Procedure areas to improve workflow for the increasing number of day stay patients. 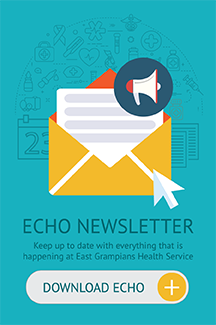 Already over $100,000 has been donated to East Grampians Health Service for this project.